Thomas D. Dickinson grew up in Ionia County and attended both Lakewood and Ionia Public Schools. His early years were spent on a dairy farm in Sebewa Township and later after moving to Ionia, he assisted his parents with the operation of a small motel south of town. Tom attended Grand Valley State University where he graduated with honors in 1981. He joined the BHT&D CPAs team in that same year. Tom is a member of the American Institute of Certified Public Accountants, Financial Planning Association and the Michigan Association of Certified Public Accountants. 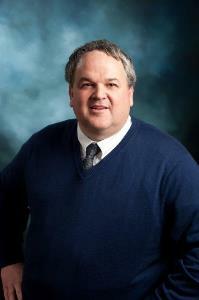 Tom has been a shareholder with BHT&D CPAs since 1988. In addition to his involvement with BHT&D CPAs, Tom is a managing member of Biggs, Dickinson & Roberts Wealth Management Services, LLC an investment advisory practice and also serves on the Board of Directors of Firstbank Corporation a 1.5 billion dollar Michigan Bank Holding Company. Tom is very committed to his community. He has previously served over 17 years on the board of Ionia County Memorial Hospital (now the Sparrow-Ionia Hospital). Tom is a founding trustee of the Ionia County Community Foundation (a foundation created to receive endowment contributions for the benefit of Ionia County residents). Tom has served or assisted numerous area non profits during his professional career. He is currently the Treasurer of his church in Ionia. Tom has over 30 years of public accounting experience and 15 years as an investment advisor. Tom’s area of practice at BHT&D CPAs includes individual, estate and business tax preparation, tax planning and general business consulting. He has extensive prior experience in estate and agribusiness taxation, governmental auditing and other tax services to individuals, estates and closely-held businesses. Tom is married to Tammy, a special education teacher, with Ionia Public Schools and has three adult children Bethany, Matthew and Bryant. He enjoys reading, assisting his son Bryant with his auto racing operation, riding his Harley Davidson motorcycle, golf, sports of all types and spending time with his wife and family.